Motorists are being urged to avoid the A16 near Dogsthorpe in Peterborough following a fatal collision. The crash between two vehicles, a Vauxhall Vectra and Land Rover Discovery, was reported at just after 4pm. One person is understood to have been killed in the collision and a second has been taken to Peterborough City Hospital. 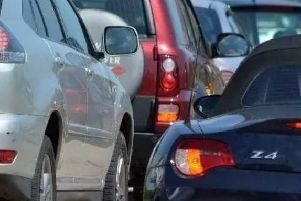 There are long delays in both directions on the A47.